A. A. Wyn was born Aaron Abraham Weinstein on May 22, 1898 in New York City. His father, Jacob Weinstein, was born in 1864 in Russia. His mother, Rebecca Weinstein, was born in 1865 in Russia. His parents were both of Jewish ancestry. They married in 1883 and had four children, of whom only two survived infancy, Isaac (b.1889), and Annie (b.1890). In 1891 the Weinstein family moved to the U.S. and settled in New York City, where they lived at 401 East 32nd Street in a crowded tenement near the East River. The father worked as a Cigar Packer at a Factory. He remained in this business for the rest of his life. The Weinsteins proceeded to have another six children, Henrietta (b.1893), Fannie (b.1895), Pearl (b.1897), Aaron (b. 1898), Bertha (b.1902), and Esther (b.1905). By 1910 they had moved to a more spacious apartment at 763 East 182nd Street in the Bronx. In 1913 the father was granted Naturalized Alien Citizenship. In June of 1916 Aaron Weinstein graduated from public high school in the Bronx. After graduation he used the name "Aaron A. Wyn" to enroll as a Freshman at City College of New York (C.C.N.Y.) in the fall of 1916. In 1918 during the Great War he was exempt from military service because of his status as a college student, but he did receive Army Training at school for one semester. In 1919 after having completed his Junior year at C.C.N.Y he left college and entered the work force. He worked as a proof reader in the printing industry. By 1920 his family had moved to 502 Grand Concourse Avenue in the Bronx. On February 19, 1926 Aaron A. Wyn married Rose Schiffman. She was born in 1902 in Russia. Her father, Meyer Schiffman was born in 1860 in Russia. Her mother, Dora Schiffman, was born in 1868 in Russia. Her parents were both of Jewish ancestry. They had married in 1883 and had seven children. The family moved to the U.S. in 1905 and settled in New York City, where their eighth child was born as an American Citizen. They lived at 981 Union Avenue in the Bronx. The father worked as a Salesman for a Printing Company. He soon started his own printing business, Schiffman & Sons, at 64 East Eighth Street, near Broadway in Greenwich Village. Three of the older sons worked at the company. Sadly the father died at the age of forty-four on February 1, 1910. After this tragic loss the printing company continued as Schiffman Brothers. By June of 1922 Rose Schiffman had completed her Sophomore year at college and entered the work force as a bookkeeper at the family printing business. In 1926 Aaron and Rose Wyn moved to 658 West 15th Street on the far west side of Greenwich Village near the docks beside the Hudson River. To earn extra income they shared one room of the apartment with Clifton W. Krausz (1905-1966), who worked as a Salesman of Magazine Advertising. 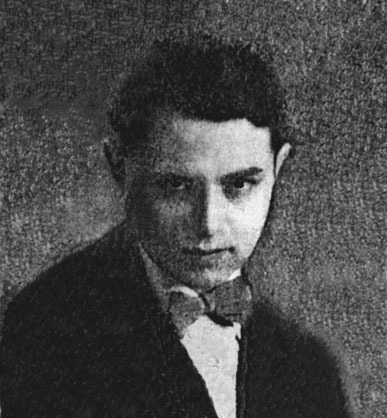 In 1930 A. 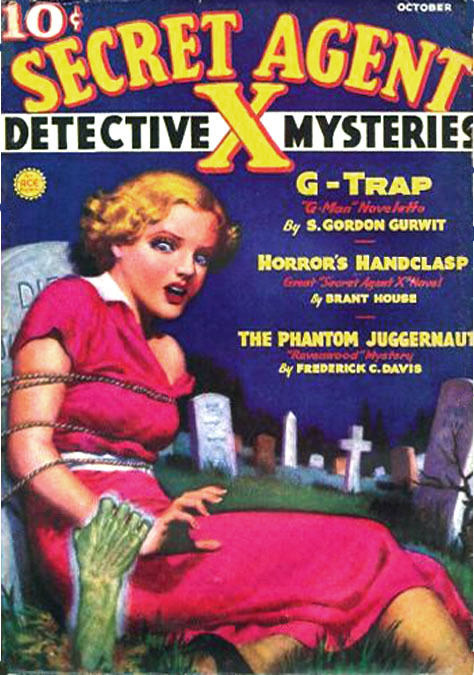 A. Wyn was listed as an Associate Editor at pulp magazines produced by Magazine Publishers, Inc., which was owned by Warren A. Angel and edited by Harold Hersey. 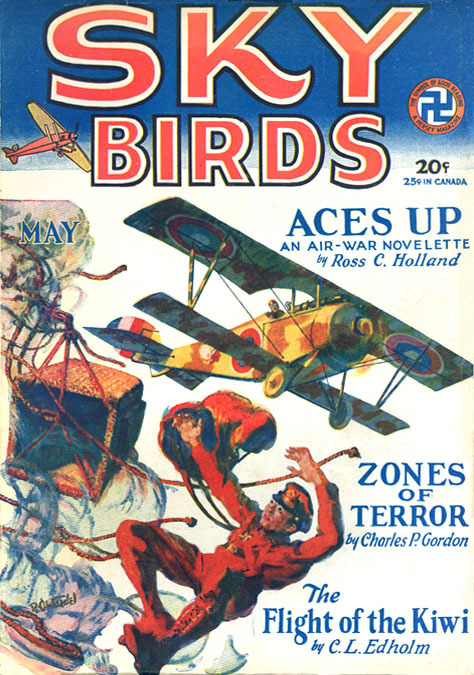 The titles included Sky Birds and Spy Stories. 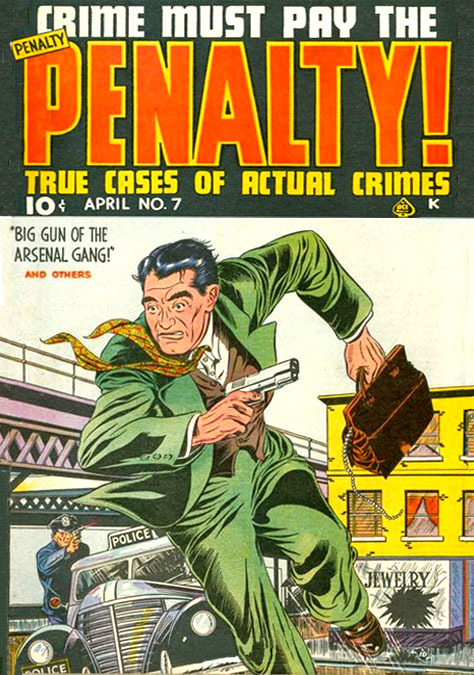 The artists who contributed illustrations to these magazines included Walter Baumhofer, Ray Wardell, Arnold Lorne Hicks, Frank McAleer, Frank Tinsley, Bertram Glover, and Jack A. Warren. In 1931 A. A. Wyn was listed as Editor and then one year later he was listed as Publisher of the same magazines. 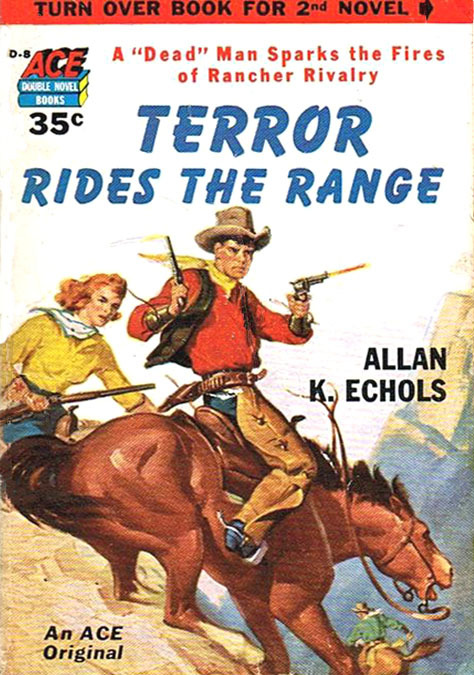 The process by which a salaried editor might suddenly transform into the publisher of the same pulp magazine remains a mystery, however the same transformation previously occurred to A. A. Wyn's predecessor Harold Hersey. One common factor in these curious events was that Warren A. Angel was the actual owner and distributor of these publications. 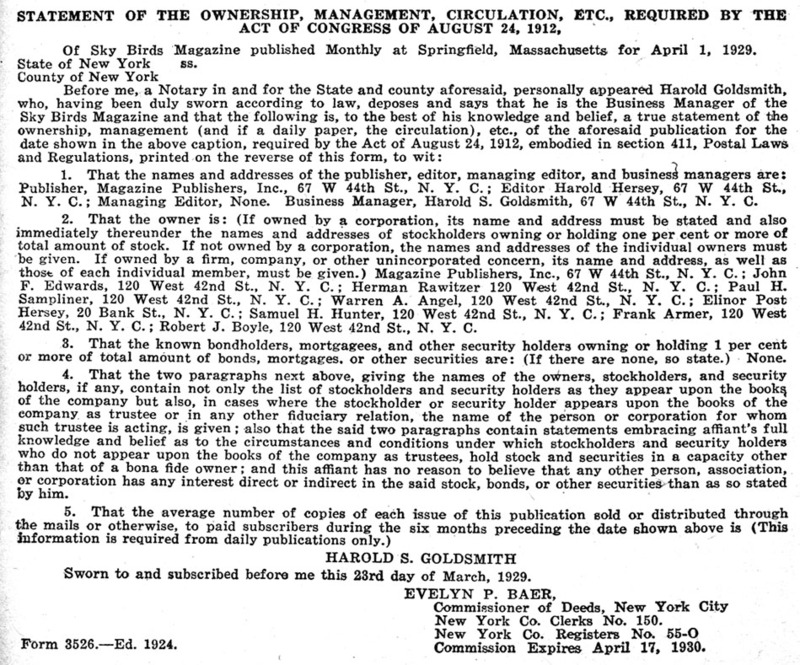 The May 1929 issue of Sky Birds included a Statement of Ownership that listed Warren A. Angel, Paul Sampliner and Frank Armer as owners. Five years earlier in 1924 Warren A. Angel and Paul H. Sampliner had co-founded Eastern Distributing Corporation, Inc., which distributed Frank Armer's pin-up magazines. One year later Aaron and Rose Wyn moved to a nicer apartment at 331 West 24th Street. 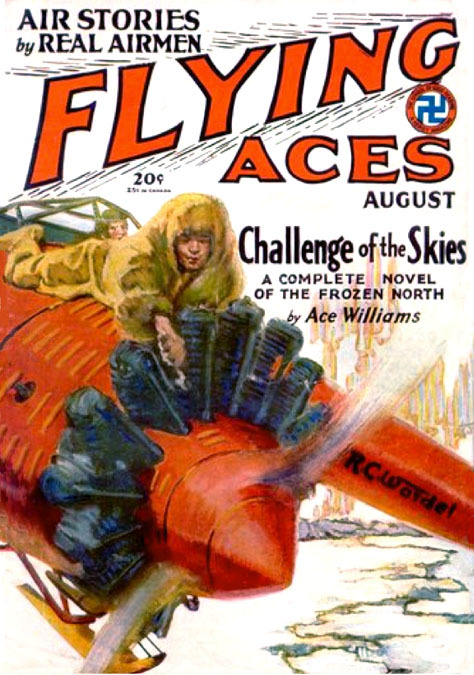 Magazine Publishers, Inc., located at 67 West 44th Street, produced pulp magazines, such as Western Aces, Flying Aces, Ten Detective Aces, Secret Agent-X, Spy Stories, and Love Fiction Monthly Magazine. 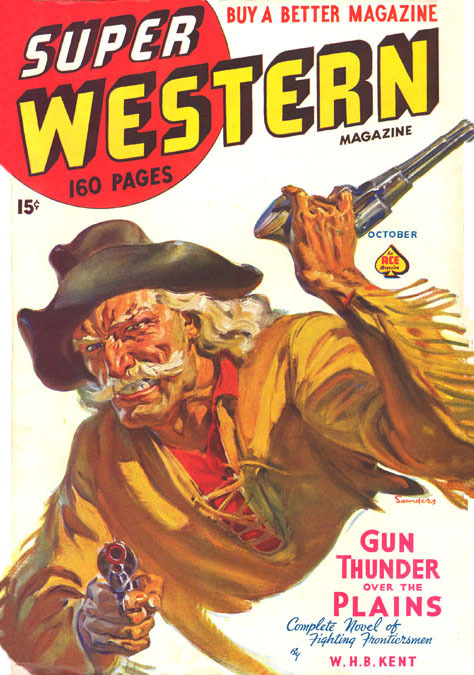 The artists that contributed to these pulp magazines included Norman Saunders, William Luberoff, Rafael M. DeSoto, William M. Allison, Leo Morey, J. M. Wilcox, Roy Harrison, Ed Moline, Warren Kremer, Harry Kirchner, Stan Drake, Ernest Chiriacka, and Allen Anderson. The Art Director at Magazine Publishers was Frederick Gardener (1906-1980). He was born Onofrio Giaculli in Naples, Italy. In 1925 he was listed as an art editor at Art & Life Magazine, which appeared to be an instructional periodical for art students, but was marketed as a pin-up magazine by Frank Armer, under the financial control of Warren Angel and Paul Sampliner of Eastern Distributing. According to the artist Roy Harrison the Art Director at Magazine Publishers in 1933 was Nate Collier(1883-1961), but in 1935 he was replaced by Frederick Gardener, who remained with the company for twenty years. 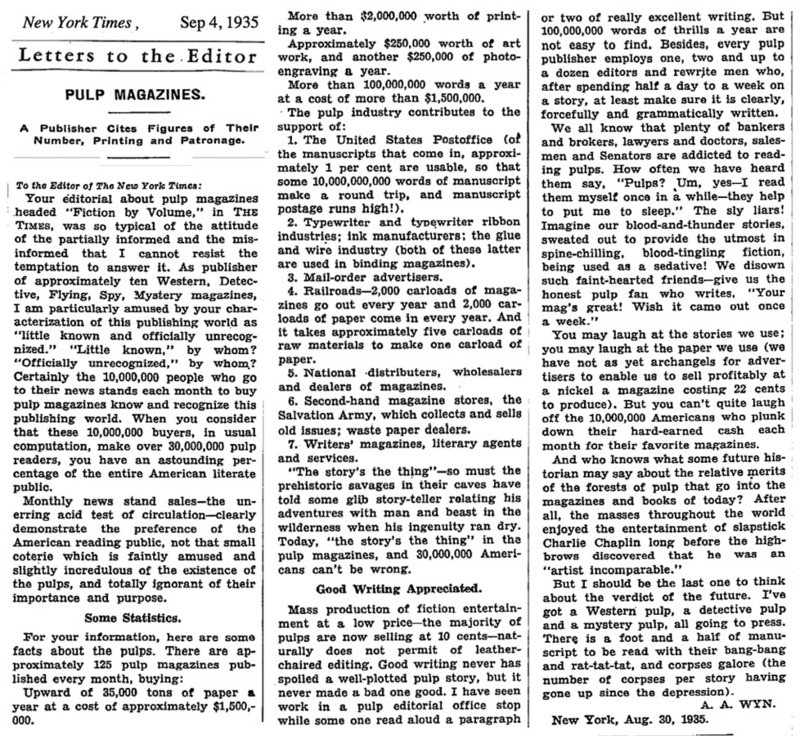 On September 4, 1935 The New York Times published a Letter To The Editor from Aaron A. Wyn in defense of the cultural integrity of Pulp Magazines. In 1936 Aaron and Rose Wyn had a son, Ronald, at which time they left the crowded streets of NYC and moved to Larchmont, NY, a suburban community in Westchester County, where they lived at 69 Shore Drive. They discovered Larchmont through their friend Clifton W. Krausz who lived there with his family. 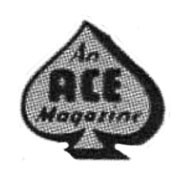 Clifton W. Krausz became Circulation Promoter at Ace Magazines, Ace Periodicals, and Periodical House. On October 19, 1938 The Long Island Star reported the incorporation of Ace Publications by director Patrick L. Reilly of 40-23 Colden Avenue, Flushing Queens. Contrary to this public notice, Patrick L. Reilly was not the "director" of Ace Publications. In 1938 he was a fifty-five-year-old retired law clerk with an 11th grade education, who lived at 46-23 Colden Street, and not "40-23 Colden Avenue," a nonexistent address. 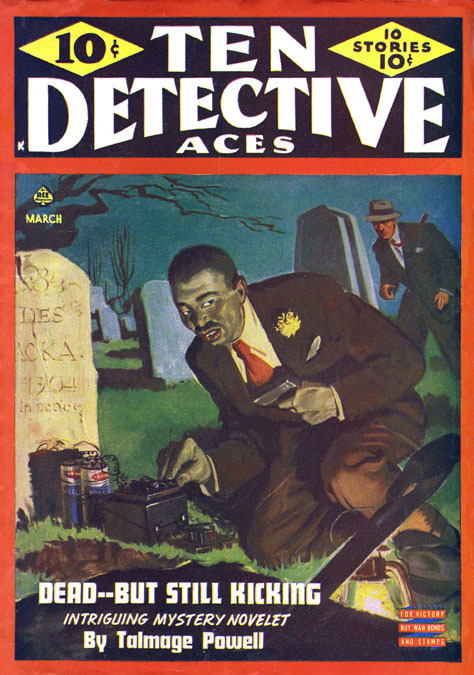 In 1940 the publisher produced comics as Ace Comics, Inc. 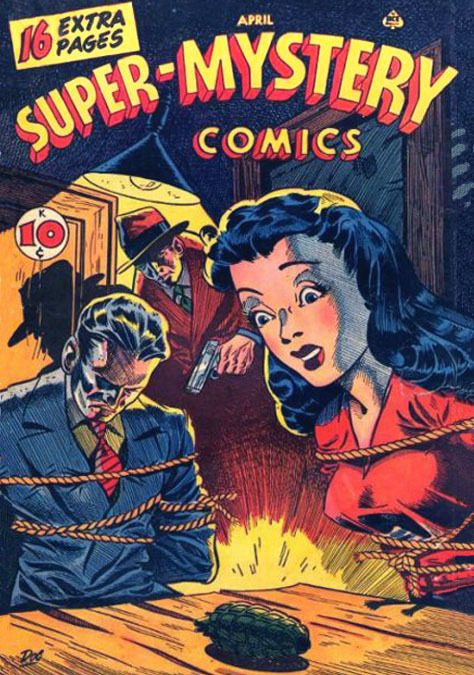 The most popular titles were Super-Mystery Comics, Four Favorites, Crime Must Pay the Penalty, and Baffling Mysteries. Artists who contributed to these publications include Jim Mooney, Leo Morey, Jack Alderman, George H. Wilson, Warren Kremer, and Fred Guardineer. 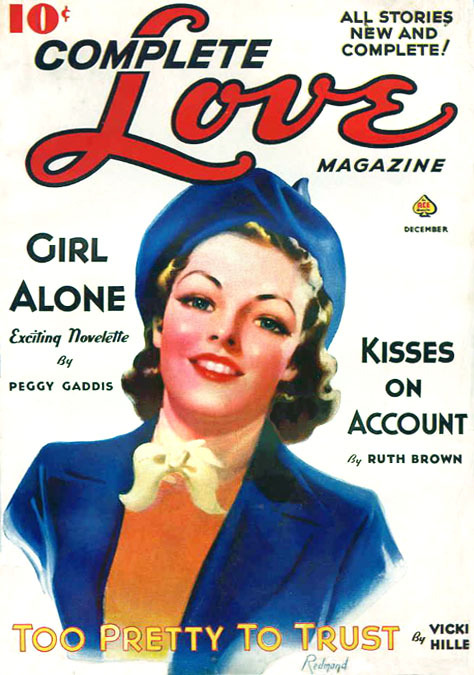 His wife, Rose Wyn, became an active contributor in the publishing business as Editor of various romance magazines as well as comic books, such as Glamorous Romances, Love At First Sight, and Ten-Story Love. Artists who contributed to these publications include Alexander Redmond, Sam Cooper, and Ed Moline. In 1943 Aaron and Rose Wyn had a daughter Susan. During WWII Aaron A. Wyn did not serve in the military, at which time he was exempt from the draft because he was forty-five, married and the father of two children. On March 31, 1946 The New York Times reported that "A. A. Wyn's Periodical House bought the seven-story building and the two-story taxpaper at 23 and 25 West 47th Street. He publishes sixteen magazines." Although A. A. Wyn was widely considered the owner of Ace Periodicals it is interesting that on September 30, 1947 Warren A. Angel and his entire family legally testified that they were the sole owners of Ace Periodicals, 23 West 47th Street, in compliance with the legally required publication of a Statement of Ownership, which appeared in the March 1948 issue of Super Mystery Comics. Tragically, Mr. & Mrs. Angel both died of illness only a few months later. By 1952 A. 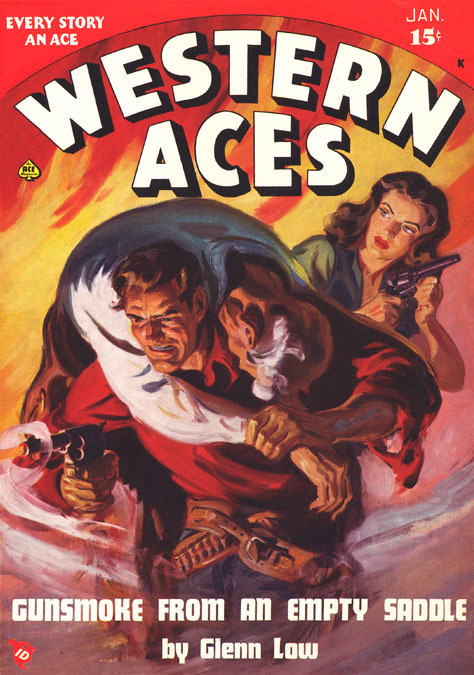 A. Wyn was leading a national trend in the publishing industry to reprint popular novels as low-priced paperback books, which were mainly sold at syndicated newsstands along with newspapers, comics and periodicals. Artists who contributed illustrations to these publications include Norman Saunders, Rafael DeSoto, Ernest Chiriacka, and George Rozen. 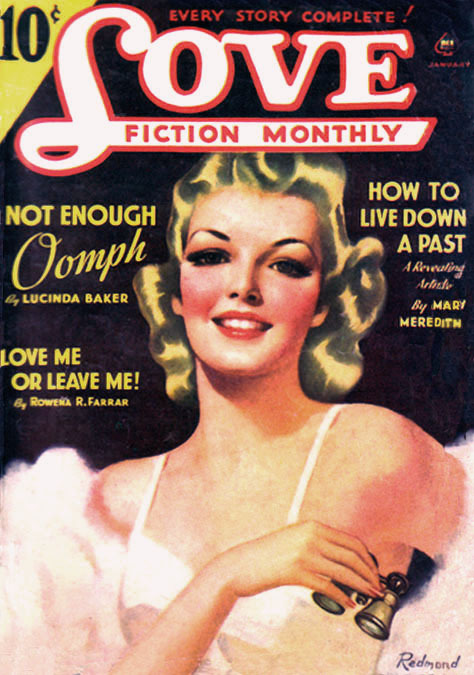 By 1953 the company had ceased publishing pulp magazines. By 1956 the company had ceased publishing comic books. In 1966 he contributed $50,000 to the New York Federation of Reformed Synagogues in support of a Counseling Center for Teenage Drug Addicts. 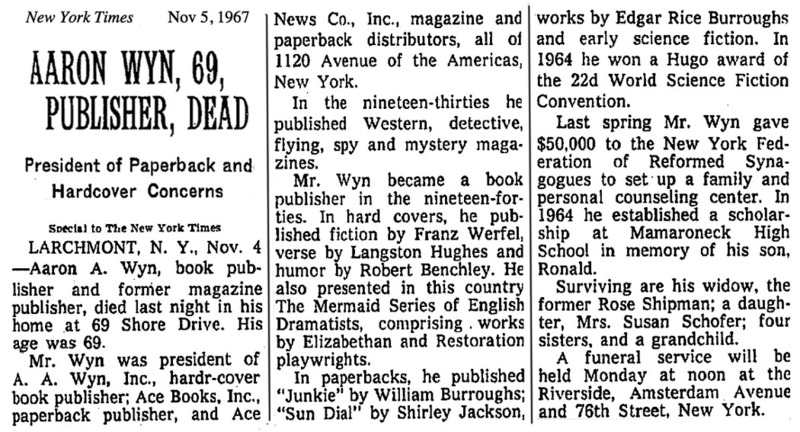 Aaron A. Wyn died at home in Larchmont, NY, at the age of sixty-nine on November 3, 1967.